Together with our clients, we develop innovative services and intelligent business models enabled by ERP. With an average of 15 plus years of experience in line management and implementation roles across functions and industries, our consultants bring leadership and technology skills to help your teams tackle the most challenging transformation efforts. 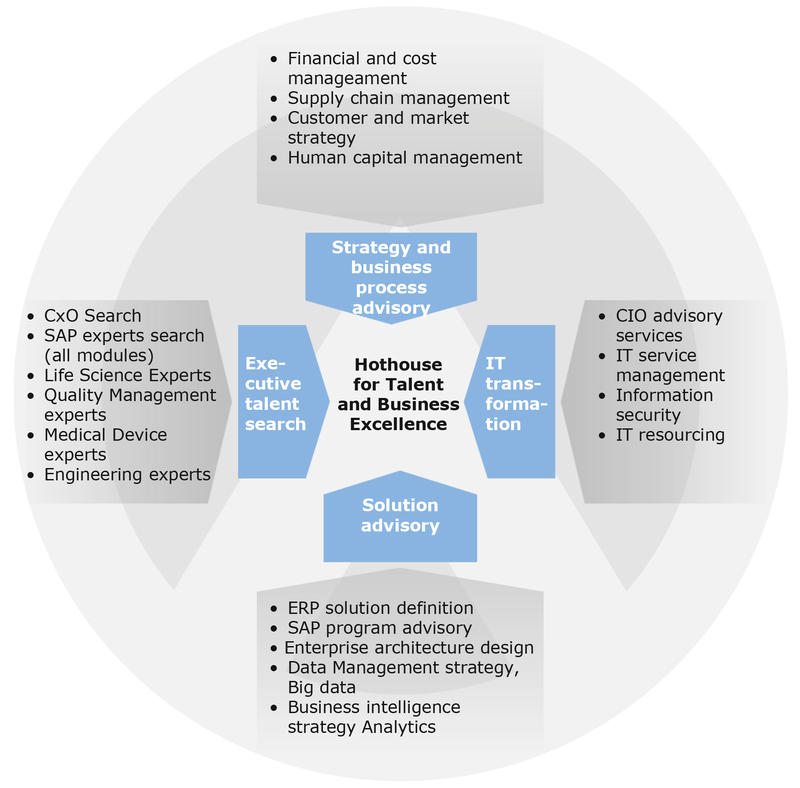 We are a Swiss business technology consulting firm, founded by former IBM and PwC employees. Our consultants are multi lingual and leverage deep experience in the industry sectors High-tech, Pharma and Chemicals. We are a company born out of passion for technology and people. We help companies and people from all over the world applying technology that works. We are recognized and certified experts for Program Management, SAP and IoT. Our candidates bring a unique combination of deep business transformation and profound IT expertise. We help you find the best technology talents in the marketplace and give you non-binding, balanced and impartial staffing recommendations for your technology investment. Please contact us. Avoras brings a wealth of expertise to help our clients successfully navigate the challenges of ERP-enabled transformations. Quality Reviews combined with on-going Program Health checks to ensure solution and program management are fit-for-purpose. Independent and unbiased strategic and business perspective allows us to share balanced and impartial recommendations about the program. Extensive experience in transformation program delivery, embedded in the program to drive value beyond a QA checklist approach. Flexible QA approach adapted to your specific requirements: one-off QA reviews on client request or on-going in-depth Quality Assurance and Program Health checks. Early feedback and recommendations to prevent bottleneck situations and major rework.